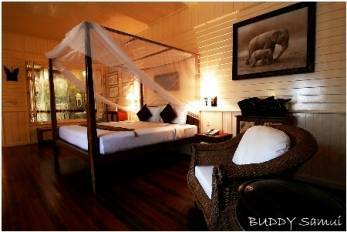 Buddy Samui Boutique Hotel (Buddy Lamai Beach), the luxurious boutique style hotel is situated on Lamai Beach, Samui Island, the most charming and famous Island of Thailand where are most visited by a lot of foreign tourists. 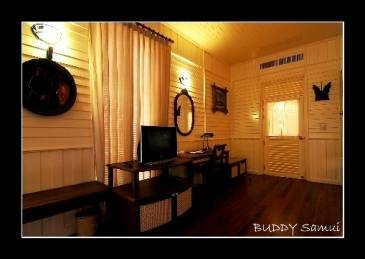 The hotel designed brand new Buddy Boutique Hotel, commanding a charming beach front location of Lamai Beach, Koh Samui. Our Hotel management ensures that your stay will be memorable and enjoyable whether it is family vacation or a romantic tropical gateway. 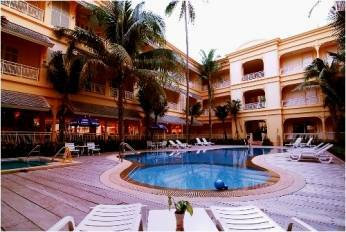 The hotel features over 133 rooms and essential services under 6 colonial styles with wooden decorated and architectures in an open combines sumptuous comfort facilities with wondrous traditional boutique style. Awaiting guests to our luxurious accommodation, all spacious rooms with private balconies and set within beach front easily access to the white sand Lamai Beach. 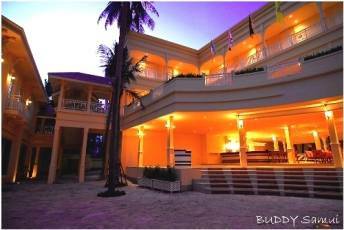 Buddy Samui has plenty of parking and easy accessible by public and just across the street. 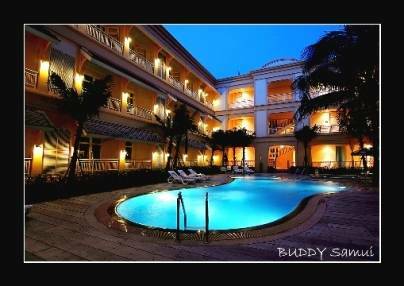 Buddy Samui Boutique Hotel is formally opened in 2008. Viewing these astonishing creations, even scientific purists would be tempted to believe that nature too, can be as whimsical as the most eccentric artist. Also known as "Grandfather and Grandmother rocks"; entirely formed by the elements, two extraordinarily accurate male and female genitalia-shaped rock formations share a perch overlooking the sea. Located at the seaside and opens from 6 pm till late. Come in to enjoy pool tables, best sound variety of music played by famous DJ Pope and DJ Vozka. Cancellation should notify to the hotel 3 days prior to the expected date of arrival. Otherwise may result one night cancellation charge of NO SHOW. Also nearby are the phallic rocks Hin Tin and Hin Yai and Wat Khunaram, which houses mummified monk Loung Pordaeng. Both are very popular visitor attractions. Nearest airport: 30 kilometer form Samui Airport.